« Thor – Happy Diwali! Can we all agree that making things small just make them more desirable to eat? And propping them on a skewer just puts them over the top. I don’t know what it is about either of these two qualities that make food more appealing. Is it the hands-free bonus? Is it the one-bite wonder? Are they just more festive?! I’m not going to lie – whatever it is, I’ve bought into it too. 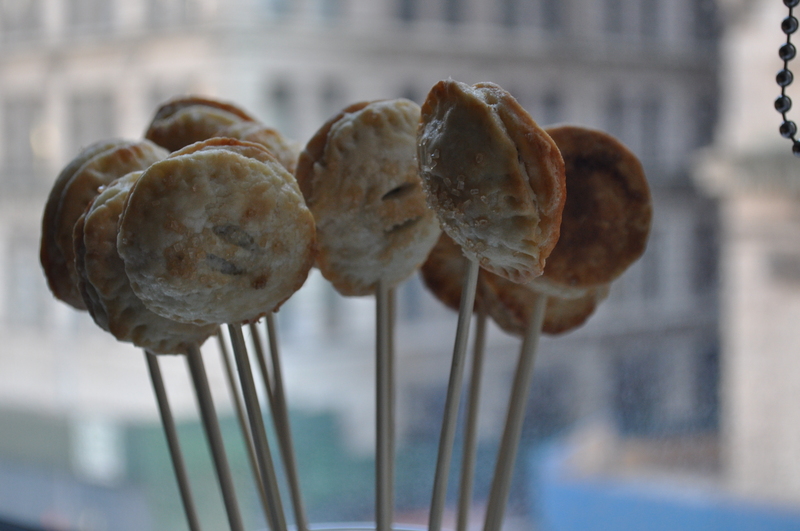 What I also know is that these pie pops are great for a party! Or a big dinner…say, Thanksgiving! They’re so easy – just like making any ol’ pie, but people will just love you so much more for making these so darn cute! And it’s so nice to be loved, isn’t it? Oh and they feed a crowd. Did I mention that little gem? And they don’t even have to be sweet. Remove the sugar from the crust recipe, and fill with a savory filling: mushrooms and cheese?! Tomato and basil?! The list can go on. I think I just figured out the appeal! Make these and then come back tomorrow for more last minute Thanksgiving ideas! I used my go-to pie crust recipe, but you can obviously also use store-bought dough. Make your pie crust as directed, divide it into two discs, wrap in plastic wrap, and refrigerate for 2 hours. While chilling, make the pie filling. In a medium saucepan over medium-low heat, vigorously whisk together the maple syrup, brown sugar, milk, salt, and cornstarch, so that there are no lumps of starch remaining. Cook until the mixture comes up to a lively bubble, whisking constantly. 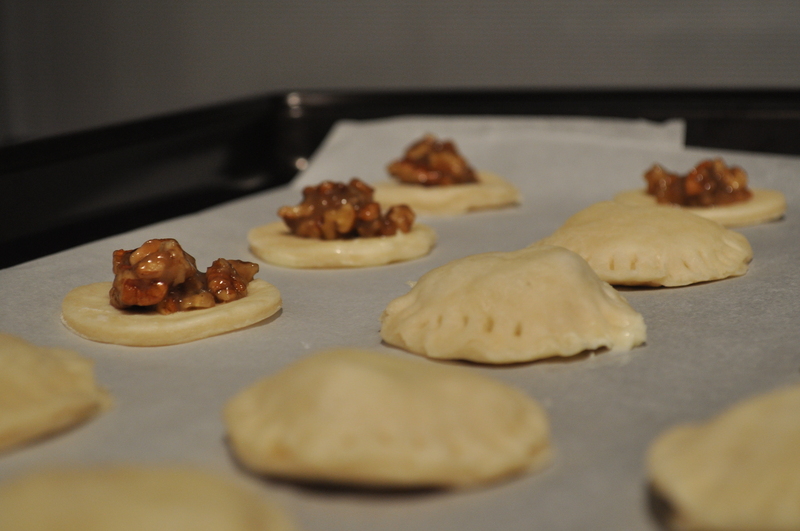 Once fully boiling and significantly thickened, turn off the heat and fold in the pecan pieces and vanilla. Cool completely and set aside. Preheat oven to 375. 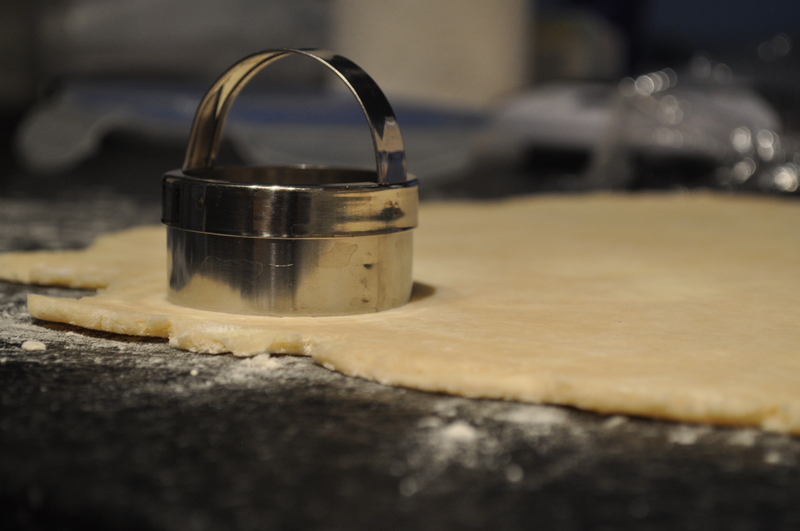 To make pie pops, roll out one disc of pie dough until it’s about 1/8 inch thick. With a two inch biscuit cutter, cut out circles, gathering and rerolling scraps as needed. Spoon about 1 tsp. of filling on half of the circles. Top with the another circle, pinching the ends to seal. Using a fork, press the ends shut, making crimp marks. Place all of the pies onto a parchment lined baking sheet. Brush each one with an egg wash of 1 egg + 2 tbsp. milk. Sprinkle with turbinado sugar. With a knife, make slits on top of each pie to allow the steam to escape. Bake for about 30 minutes, or until golden brown. Transfer to a wire rack to cool completely. 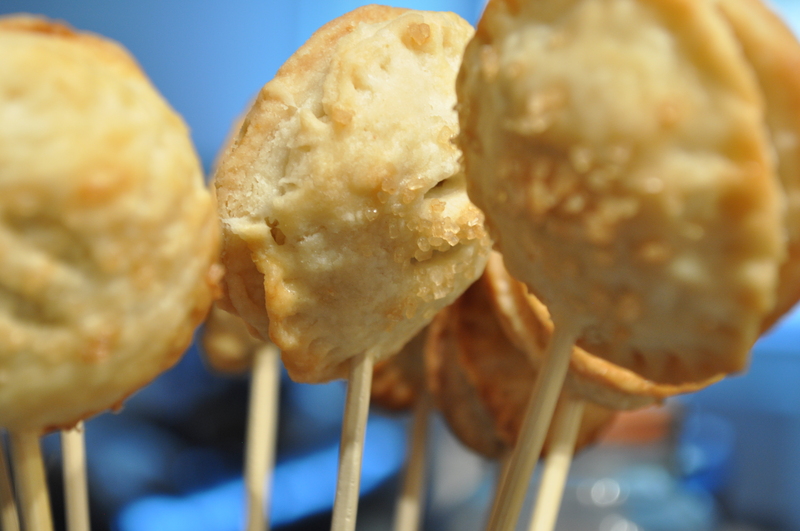 To make into pie pops, insert a skewer in the middle, while cooling. This entry was posted on	November 20, 2012 at 10:05 am	and is filed under Uncategorized.